Rainbow Hostel is situated less than 1 mile west of Dingle town centre. The hostel is a large family run farmhouse. It is an ideal starting point for nature lovers, hillwalkers and is located at the beginning of the stunning slea head drive. Nestled in the rugged Irish countryside in Co. Kerry on the west coast of Ireland, the Rainbow Hostel is a relaxing oasis where you can enjoy cooking in our huge wooden kitchen. The Rainbow hostel offers camping and both private and dormitory style accommodation. It is an ideal starting point for nature lovers, hill walking and the Slea Head drive, yet near enough to the music and action of Dingle Town. Close to Dingle Whiskey Distillery and town by foot. Laid back atmosphere and staff welcoming. This place was great! We stayed here as a couple and really enjoyed our time. Met great people and the two running the hostel were friendly and helpful. It’s a little ways from the town center but we enjoyed our 20 min walk down a back road to get there. I would stay here again and recommend to anyone. Great stay overall! Really nice new owners . Hosts were very accomodation and really nice . Super clean and one of the hosts never stopped from the moment we got there . Would highly recommend. I've been staying at this hostel for decades. The current managers, Rebecca and Hugh, are terrific. The common area is inviting and has lots of windows, a coal fire stove, and a great vibe. The hostel is very clean and the managers couldn't be more accommodating. If I could change something about this hostel, I'd make the showers hotter and more user friendly. That said, I did get used to the showers, but it is challenging at first. Ein sehr gemütliches Hostel in dem ich mich rundum wohl gefühlt habe. Sehr gemütliche und gut ausgestattete Küche. Great location and friendly helpful staff. I was there in off season so the facility was less than 1 third full. The kitchen and bathroom situation would be limited at full capacity. It was lovely to hang out in the kitchen, but there is no living room or community area other than the kitchen. Lovely independent hostel. Quite a walk out of city centre (maybe 30 mins) but this kind of contributes to the very cosy, comfortable 'home' vibe of the hostel. Not a party atmosphere at all but a friendly, quiet and chill feel. Fully stocked kitchen with oats, milk, tea and other essentials all provided. More of a home than a hostel - no individual charging points or curtains and lamps, charging points must be shared by everyone in the dorm but a very cosy stay, a nice break from hostel life. This hostel only accepts CASH as payment, which was not mentioned when we booked it. 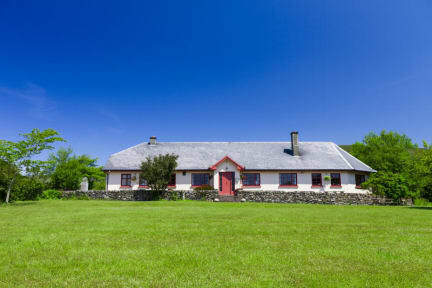 It is a nice hostel located outside of Dingle township. It would suit someone who has a car as it is a bit of a walk from town on a narrow road. Caroline the manager was very nice & very helpful. The hostel was always full but lacked atmosphere. If you are looking for a party hostel, then this is not for you. My overall stay was pretty good. The hostel was very clean, the staff was fabulous, and I had my best nights sleep in over a week because of the comfortable bed. You are a mile walk from town but there is a sidewalk for most of it so it's not so bad. Really the only thing I didn't like was the vibe I got from some of the other guests that I interacted with. While some fellow backpackers were very friendly and personable, others not so much. Will stay again when I have a travel companion.